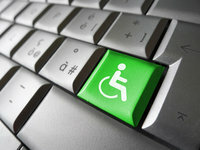 Individually and as a team we offer a unique blend of experience from across the world, we are committed to supporting the emergence of new services throughout the world to enable people with a disability to gain access to their rights and aspirations. Mada offers a single point of co-ordination for all activities related to digital and eInclusion in Qatar. Increasingly the centre is also seeking to influence the emerging Access ecosystem in the region promoting cooperation between states and supports the development of assistive technology solutions and digital content that meet the needs of Arabic speaking people with a disability. His recent work has focussed on the development of a framework for the contextualisation of assistive technologies, guidance for the transference of knowledge and skills across communities and developing a policy framework to protect the rights of people with a disability in Qatar.